To answer this we checked public easyJet information as well as looked at a few specific example flights. 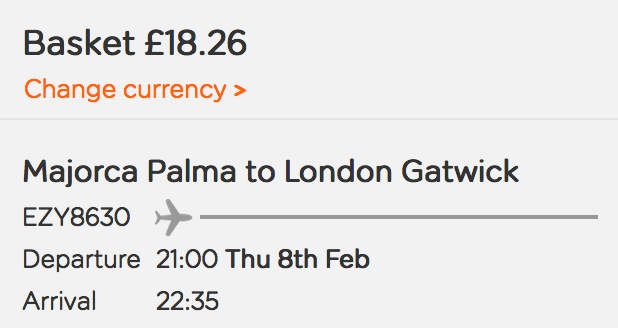 We looked at the easyJet flight from London Gatwick (LGW) to Palma de Mallorca (PMI) departing on the 1st of February 2018 and returning on the 8th of February 2018. First we looked at the one-way price for the outbound flight EZY8627 with all the fees included. It was £62.48. Next we checked the return flight EZY8630 separately. The price was £18.26. 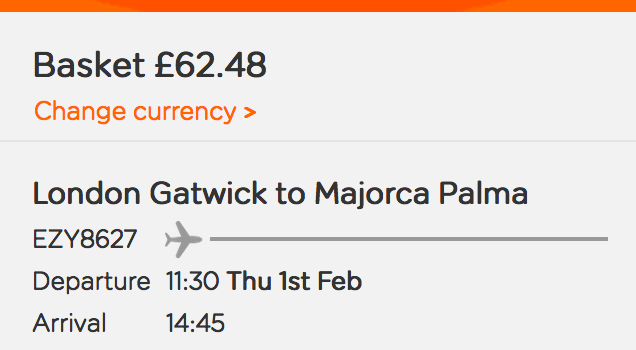 So the total price if one to book these tickets separately is £80.74. Then we repeated the search for this flight with both legs combined. The total amount was £65.47, which is approx £15 cheaper. Notice how individual leg on the breakdown is cheaper as well. We found the explanation of this on official easyJet page which lists all the easyJet fees and charges. There is a Administration fee of £15 per booking. This fee is included in the final price a customer sees during the purchase process. When buying two one-way tickets separately, the fee is duplicated and that explains the difference in prices. 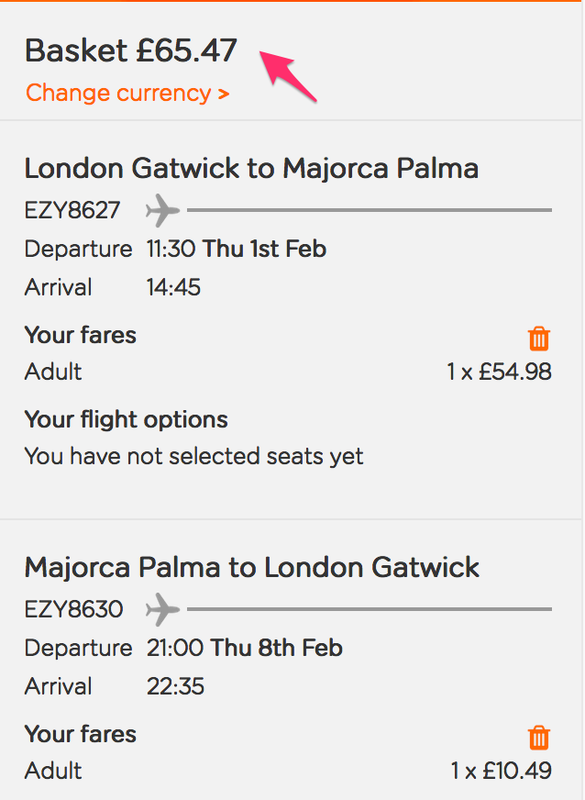 To sum up, it is possible to book two one-way tickets with easyJet if you find a good deal for an in/outbound flight. However it is £15 more expensive too book tickets separately. Find the best moment to book your easyJet flight at AirHint.